When you need the latest in high-quality endoscopy services, attentive patient care, operational excellence and practice efficiency, New Hyde Park Endoscopy delivers. New Hyde Park Endoscopy (NHPE) is a brand new ambulatory endoscopic surgery center conveniently located on Long Island in New Hyde Park, NY. 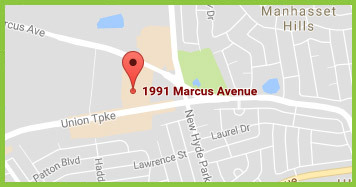 New Hyde Park Endoscopy is an ambulatory endoscopic surgery center located at 1991 Marcus Avenue, Suite M202, in New Hyde Park, NY 11042. The center provides colonoscopy, upper endoscopy, lower GI procedures and endoscopic ultrasound for patients of all ages. For more information, please call 516-519-8777. Copyright © 2019 Practice Builders and New Hyde Park Endoscopy. All rights reserved.